A new lens can make all the difference in your photographs. An 18-55mm is the standard or "normal" lens that comes with most DSLRs; this lens is fine for "normal" picture taking – the pictures most people take much of the time. A longer zoom -- an 18-135mm (Canon) or 18-105mm(Nikon) does everything the basic lens does, but has longer telephoto capabilities, allowing you more range, such as the ability to take a tight portrait without having the camera in your subject's face. Telephoto zooms like the 55-200mm (Nikon) or 55-250mm (Canon) start where the standard lens leaves off in telephoto capability. These lenses allow you to take longer shots for activities such as sports and blur the background for excellent tight portrait shots. There are longer telephoto zooms -- 70-300mm is the common length. These lenses are often faster-focusing with a longer zoom range and better glass. They take great sports shots, letting you get a little further into the field. The 100-400mm (Canon) and 80-400mm lenses are even longer telephoto zooms that get you even closer to the action. These are your lens for wildlife shots or to get the other side of the field at sporting events. The Canon 100-400mm is one of those white lenses you often see pros and serious shooters using at sporting events. The 18-200mm and 18-270mm zooms are a nice all-around lenses, giving you everything from a wide angle to great wildlife shots with out having to change lenses. It's such a bargain, so you'll be amazed what you can do with the 50mm F1.8. The wider aperture allows for low light shots with no flash - the subject is sharp and pops off the picture, and the background has a nice blur. And for great flower pictures, take a look at the macro lens. You can fill the whole frame with a tiny part of the flower. 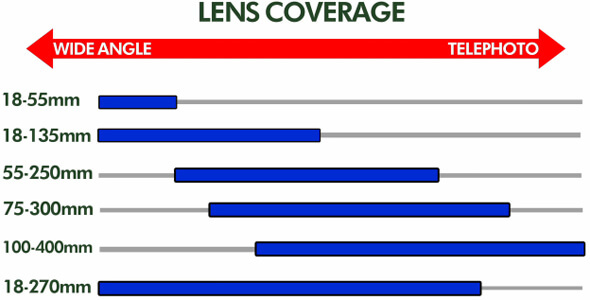 At Milford Photo, we have a broad range of lenses. Come in and we'll put them on a camera for you, so you can try them out. Filters help protect your lens investment and allow you to get more creative with your photography. Bring in your equipment and we'll test different filters to find the one that best suits your needs. The UV Filter blocks out UV light and protects your lens against dust, dirt, residue and scratches. A Circular Polarizer removes reflection and creates better color/contrast. This filter is photography's best kept secret, helping to create landscape shots where clouds really pop off of the blue sky. The Neutral Density or "ND" Filter allows you to dial in the amount of light reduction you want, so you can use slower shutter speeds outdoors. It's an absolutely must-have for outdoor DSLR video, shooting with a flash outdoors, or for shots with slow shutter effects (such as waterfall shots). We recommend a Variable Neutral Density filter. If you don't see what you're looking for, please contact us!